apazos added inline comments to D57493: [RISCV] Put data smaller than eight bytes to small data section. apazos added inline comments to D57497: [RISCV] Passing small data limitation value to RISCV backend. apazos added inline comments to D59592: [RISCV] support ilp32e Calling Convention. apazos added a comment to D59470: [RISCV] Add basic RV32E definitions and MC layer support. apazos added inline comments to D59470: [RISCV] Add basic RV32E definitions and MC layer support. apazos committed rG5254d1baae63: [RISCV] Allow access to FP CSRs without F extension (authored by apazos). apazos committed rL355753: [RISCV] Allow access to FP CSRs without F extension. apazos closed D58932: [RISCV] Allow access to FP CSRs without F extension. apazos added a comment to D59023: [RISCV] Support -target-abi at the MC layer and for codegen. apazos added inline comments to D59023: [RISCV] Support -target-abi at the MC layer and for codegen. apazos updated the diff for D58932: [RISCV] Allow access to FP CSRs without F extension. Leaving pseudo instructions that access FP CSRs untouched for now. apazos added a comment to D58932: [RISCV] Allow access to FP CSRs without F extension. OK, I can restrict the patch to access CSR names and value range without F extension, while we wait GCC and the RISC-V specs to be updated. apazos added a comment to D58943: [RISCV][MC] Find matching pcrel_hi fixup in more cases..
LGTM, I have verified the patch with some workloads and found no new issue. apazos abandoned D58759: [RISCV][MC] Fixed error: could not find corresponding %pcrel_hi. 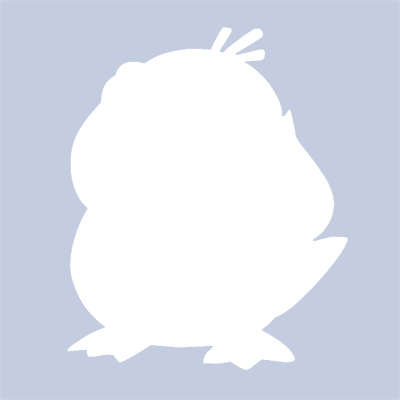 apazos added a comment to D58759: [RISCV][MC] Fixed error: could not find corresponding %pcrel_hi. Hi Eli, this current patch as it is fails for the test case you highlighted. Thanks for clarifying and pushing an alternative solution. apazos created D58932: [RISCV] Allow access to FP CSRs without F extension. apazos retitled D58759: [RISCV][MC] Fixed error: could not find corresponding %pcrel_hi from Fixed error: could not find corresponding %pcrel_hi to [RISCV][MC] Fixed error: could not find corresponding %pcrel_hi. apazos abandoned D58485: [WIP] Experimenting with aligning with GCC LIR behavior at Os. apazos updated subscribers of D58759: [RISCV][MC] Fixed error: could not find corresponding %pcrel_hi. apazos updated the diff for D58759: [RISCV][MC] Fixed error: could not find corresponding %pcrel_hi. apazos retitled D58759: [RISCV][MC] Fixed error: could not find corresponding %pcrel_hi from [RISCV] (WIP) Fixed error: could not find corresponding %pcrel_hi to Fixed error: could not find corresponding %pcrel_hi. apazos edited reviewers for D58759: [RISCV][MC] Fixed error: could not find corresponding %pcrel_hi, added: eli.friedman; removed: lewis-revill. Hi Lewis, yes it is possible to reduce the code changes. I will push an update. The concern I have is that for pseudo instructions it was enough to change RISCVAsmParser.cpp to fix the problem. But for the expanded instructions I have to modify AsmParser.cpp. So maybe instead of adding a new EmitLabel we change the current api. apazos added a reviewer for D58759: [RISCV][MC] Fixed error: could not find corresponding %pcrel_hi: lewis-revill. Lewis, is this what you had in mind, I only changed RISC-V parser path. apazos created D58759: [RISCV][MC] Fixed error: could not find corresponding %pcrel_hi. apazos added a comment to D54029: [RISCV] Properly evaluate fixup_riscv_pcrel_lo12. Thanks for the analysis and suggestion Lewis. apazos created D58485: [WIP] Experimenting with aligning with GCC LIR behavior at Os. Herald added a project to D54029: [RISCV] Properly evaluate fixup_riscv_pcrel_lo12: Restricted Project. apazos committed rG6dbe86597a8f: Fixed failure on Darwin due to r354064 (authored by apazos). apazos committed rC354089: Fixed failure on Darwin due to r354064. apazos committed rL354089: Fixed failure on Darwin due to r354064. apazos closed D58259: Fixed failure on Darwin due to r354064. apazos created D58259: Fixed failure on Darwin due to r354064. apazos committed rGbbb8129b2cdd: Set hidden attribute on lprofMergeValueProfData (authored by apazos). apazos committed rCRT354064: Set hidden attribute on lprofMergeValueProfData. apazos committed rL354064: Set hidden attribute on lprofMergeValueProfData. apazos closed D55893: Set hidden attribute on lprofMergeValueProfData. apazos updated the diff for D55893: Set hidden attribute on lprofMergeValueProfData. I added a test case to verify the fix prevents lprofMergeValueProfData from another module from being accessed. apazos committed rG9a3dc3e60bf0: [LegalizeTypes] Expand FNEG to bitwise op for IEEE FP types (authored by apazos). apazos committed rL353757: [LegalizeTypes] Expand FNEG to bitwise op for IEEE FP types. apazos closed D57875: [LegalizeTypes] Expand FNEG to bitwise op for IEEE FP types. apazos added a comment to D57875: [LegalizeTypes] Expand FNEG to bitwise op for IEEE FP types. apazos resigned from D25634: Fix replacedSelectWithOperand in InstCombiner to handle branch having two same successors..
apazos resigned from D8371: Allow code generation of ARM usat/ssat instructions. apazos resigned from D3476: Fix use_iterator in ARM64AddressTypePromotion. apazos added a comment to D50496: [RISCV] Implment pseudo instructions for load/store from a symbol address..
apazos added a comment to D57497: [RISCV] Passing small data limitation value to RISCV backend. If this is a target flag in GCC, shouldn't we make it a LLVM Target feature and pass it as -mattr, just like done for mrelax? apazos updated subscribers of D57875: [LegalizeTypes] Expand FNEG to bitwise op for IEEE FP types. apazos created D57875: [LegalizeTypes] Expand FNEG to bitwise op for IEEE FP types. So Eli is concerned we might end up with many globals in the small data section or not picking the best candidates if we pass -G to all files in LTO. I don’t know if anyone has experimented with a heuristic to selectively pick which globals and of which size will be allowed to go into the small data section. Simon, do you have any insight? Shiva, maybe for now we don’t pass the flag to LTO. But I think you got the correct mechanism. The only other suggestion I have is to add a RISC-V specific function to avoid too much RISC-V specific code in gnutools::Linker::constructJob. You just check the triple and call something like toolchains::RISCVToolChain::AddGoldPluginAdditionalFlags. I don't see -plugin-opt=-riscv-ssection-threshold=.. being passed. Hi Shiva, I will check, but I think you need to also modify gnutools:Linker because riscv::Linker is called for baremetal. I think you need in both places. Hi Shiva, I think you need to check for and pass along the -G option to the linker (gnutools::Linker and RISCV::Linker) and will be available for LTO. Check Hexagon, it passes the threshold value to the assembler (via -gpsize) and linker (via -G). Herald added a project to D57493: [RISCV] Put data smaller than eight bytes to small data section: Restricted Project. apazos committed rL352237: Reapply: [RISCV] Set isAsCheapAsAMove for ADDI, ORI, XORI, LUI. apazos added a comment to D57141: [RISCV] Add implied zero offset load/store alias patterns. Yes James, please post your patch and tests. Kito quickly posted this one to unblock me. apazos committed rL352014: Revert "[RISCV] Set isAsCheapAsAMove for ADDI, ORI, XORI, LUI". Revert "[RISCV] Set isAsCheapAsAMove for ADDI, ORI, XORI, LUI"
apazos committed rL352010: [RISCV] Set isAsCheapAsAMove for ADDI, ORI, XORI, LUI. apazos closed D56526: [RISCV] Set isAsCheapAsAMove for ADDI, ORI, XORI, LUI. apazos committed rL352008: [RISCV] Set isReMaterializable for ORI, XORI. apazos closed D57069: [RISCV] Set isReMaterializable for ORI, XORI. apazos retitled D56526: [RISCV] Set isAsCheapAsAMove for ADDI, ORI, XORI, LUI from Fixed isAsCheapAsAMove settings to [RISCV] Set isAsCheapAsAMove for ADDI, ORI, XORI, LUI. apazos retitled D57069: [RISCV] Set isReMaterializable for ORI, XORI from [RISCV] Fixed isReMaterializable setting for ORI, XORI to [RISCV] Set isReMaterializable for ORI, XORI. apazos updated the diff for D56526: [RISCV] Set isAsCheapAsAMove for ADDI, ORI, XORI, LUI. apazos added a comment to D57069: [RISCV] Set isReMaterializable for ORI, XORI. apazos added a comment to D56526: [RISCV] Set isAsCheapAsAMove for ADDI, ORI, XORI, LUI. R351895 - Fixed isReMaterializable setting for LUI instruction. apazos created D57069: [RISCV] Set isReMaterializable for ORI, XORI. apazos committed rL351895: Fixed isReMaterializable setting for LUI instruction.. Fixed isReMaterializable setting for LUI instruction. apazos created D56526: [RISCV] Set isAsCheapAsAMove for ADDI, ORI, XORI, LUI. apazos added a comment to D55893: Set hidden attribute on lprofMergeValueProfData. I observed the issue with instrumented libs in Android. I have not been successful in reducing a test case that would fail on x86 linux. I can write a test case that shows I can do a dlopen/dlsym of lprofMergeValueProfData from a different library, but with the hidden attribute set on the function, the dlsym call will fail. Shouldn't we prevent lprofMergeValueProfData from being accessed outside a module? A test would need to dump the contents of the symbol table and verify the hidden attribute for that symbol. Do you have something else in mind? apazos created D55893: Set hidden attribute on lprofMergeValueProfData. apazos updated the diff for D55644: Emitting MCInstruction from Protocol Buffer Message. apazos created D55644: Emitting MCInstruction from Protocol Buffer Message. apazos added a comment to D52977: [RISCV] Introduce codegen patterns for instructions introduced in RV64I. Thanks Alex, LGTM. I did not detect missing predicate around the 64 bit instructions and patterns. apazos added a comment to D54574: [SelectionDAG] Support promotion of the FPOWI integer operand. apazos added a comment to D53820: [SelectionDAG] Support result type promotion for FLT_ROUNDS_. Alex, can you rebase this one, it does not apply cleanly. apazos updated the diff for D51144: Implemented Protobuf fuzzer for LLVM RISC-V MC Assembler. Removed bracket field from Register Message. The Statement types add the brackets when needed. Fixed mesage Label definition, added suffix to numeric label. Added Label to Immediate Message handling in proto-to-asm-fuzz-opnd-values. apazos updated the diff for D51710: Implemented Protobuf fuzzer for LLVM RISC-V MC Disassembler. Removed PBM_FUZZ_PATH and PBM_REPO from build steps. Relying on building these fuzzers with the latest version of libprotobuf (and libprotobuf-mutator), which should be installed in the system. apazos retitled D51710: Implemented Protobuf fuzzer for LLVM RISC-V MC Disassembler from Implemented Protobuf fuzzer for LLVM MC Disassembler to Implemented Protobuf fuzzer for LLVM RISC-V MC Disassembler. apazos retitled D51144: Implemented Protobuf fuzzer for LLVM RISC-V MC Assembler from Implemented Protobuf fuzzer for LLVM MC Assembler to Implemented Protobuf fuzzer for LLVM RISC-V MC Assembler. apazos committed rL344309: [RISCV] Fix disassembling of fence instruction with invalid field. apazos closed D51828: [RISCV] Fix disassembling of fence instruction with invalid field. apazos updated the diff for D51828: [RISCV] Fix disassembling of fence instruction with invalid field. Updated patch based on review comment. apazos added a comment to D51828: [RISCV] Fix disassembling of fence instruction with invalid field. Good comments, will make the updates. Printing unknown when disassembling instruction with 0 field.